The most adorable and beautiful dummy chains comes from Little Wonders - they are even handmade! Get a grip on the dummies with this lovely dummy chain in a nice white nuance with a matching bond from Little Wonders - use it for the christening. The dummy chain makes it easier and more hygienic to keep track on the dummies. 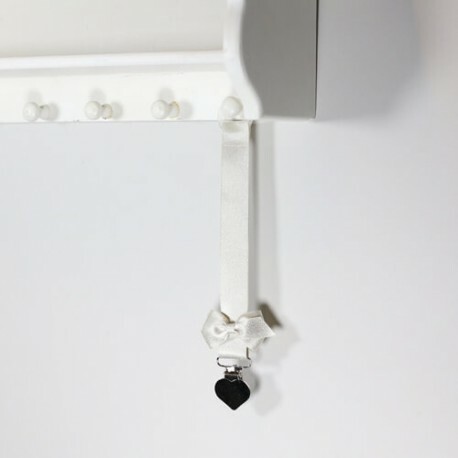 The dummy chain is placed on the clothes with a nickel free silver heart-shaped metal clips.